Weinberg junior Trent Green holds a bullet that he found lodged in his door Friday around noon. About five callers reported hearing six gunshots last night at roughly 11:40 p.m.
Evanston Police are investigating reports of shots fired at the intersection of Foster Street and Pratt Court Thursday night. At around 11:40 p.m., EPD received about five calls from people reporting hearing six gunshots, police said. Weinberg junior Trent Green was about to fall asleep when he heard the gunshots. He saw the police officers arrive and he exited his residence to speak with the officers when he noticed that his car had been struck by the gunfire. 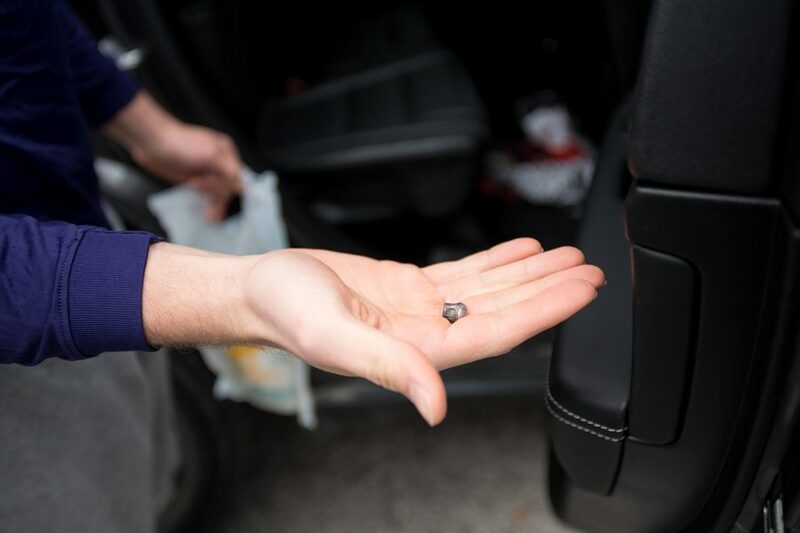 Upon checking the car Friday at noon, he found a bullet lodged in his door. At 12:30 a.m. an officer on the scene said they had recovered casings in the area, but that they believe there is no active danger. At least a dozen police officers were on the scene at one point. Weinberg senior Tommy Doles was brushing his teeth when he heard the gunshots outside of his residence on Pratt Court. He said the response by EPD and University Police was very professional and that they arrived within minutes. A moped on the 2000 block of Pratt Court was also damaged by the gunfire and responding officers located 9mm shell casings in a yard on the east side of Pratt Court, Doles said. Police are continuing to investigate. EPD communications coordinator Perry Polinski told The Daily that there are no suspects at the time and no reported injuries.